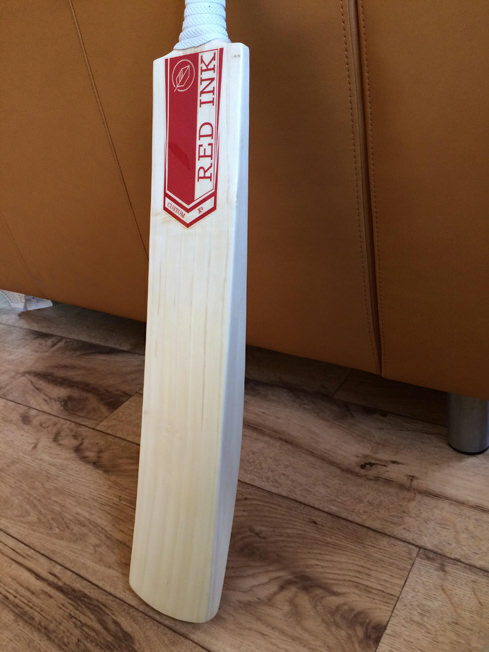 After making a thread on here wanting a 'proper' bat, i was put in contact with with John @ Red Ink who i entrusted to make my first bat that wasn't a £50 bargain by from the internet. I asked John to try and copy my mates Woodstock Tour De Force which i've absolutely loved using at Uni, with a slightly thinner handle to ease up on my child-sized hands. Given that all i could give John to go off was a link to the bat online, he's managed to copy it perfectly, to the point that the pickup feels exactly the same. It weighs 2'8 with a scuff sheet but picks up similarly to my 2'5 Kookaburra. I'm having a net on the bowling machine with it tomorrow afternoon and if it's ready i will give it a run out at uni nets in the evening, early indications are it taps up well! Thank you to John for putting up with some of my stupid questions along the way! Anyway, for now i'll leave you with the photos! My pleasure, hope it scores you plenty! Another top drawer Red Ink. 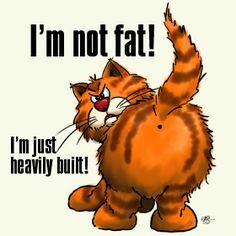 Hope it goes well for you. That’s lovely, new stickers are very nice John!! 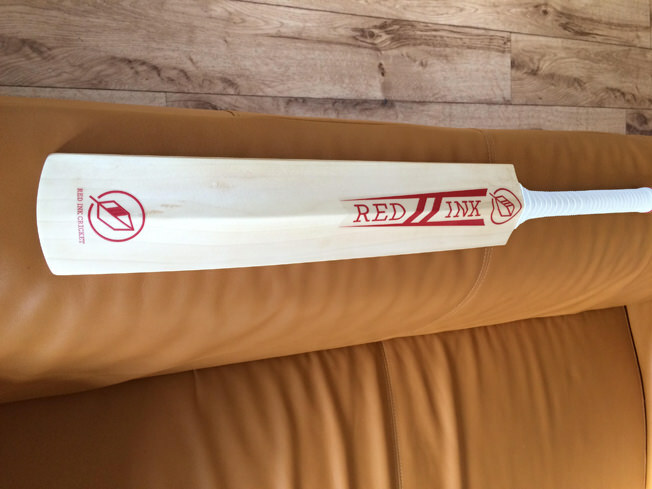 @Red Ink Cricket - loving the new branding, excellent work John. What's the latest on the softs? 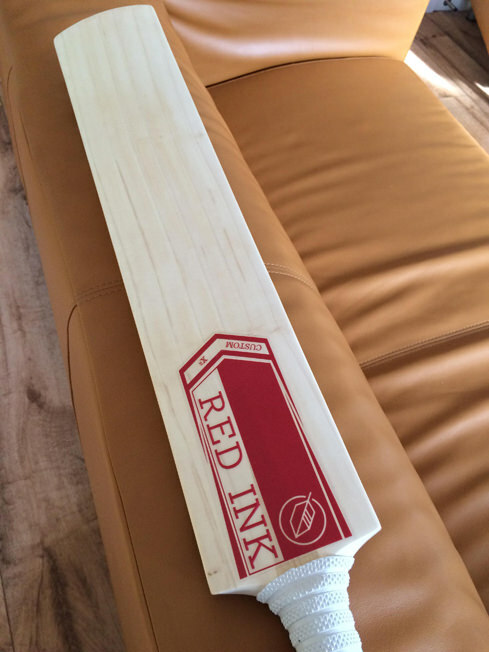 And the website; @Red Ink Cricket? Love the new stickers too! The white ones on twitter look great! That looks lovely! Hope it gets you lots of runs! Looks like a no nonsense run scorer - time for you to do it justice! 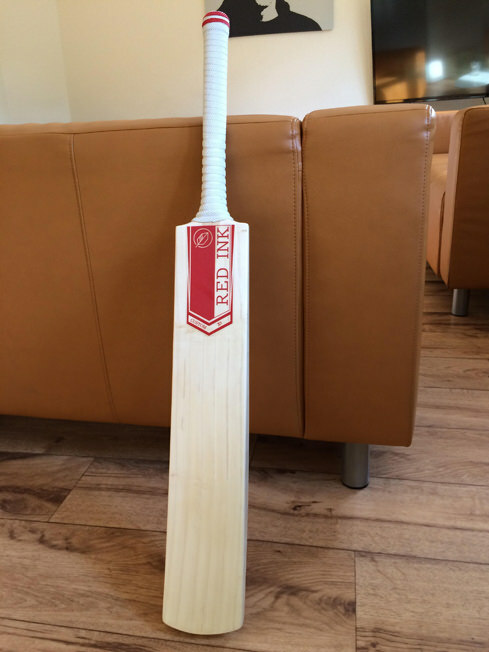 Geez that's a lovely looking stick, and good size for a 2.8 bat too. Love the new stickers too, very classy! 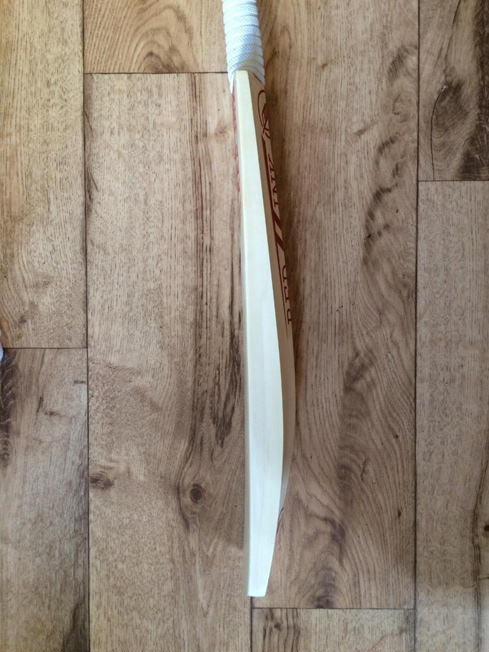 Lovely looking bat that! Really liking the new stickers aswell. Love the branding.... still enjoy picking my Red ink up. Page created in 0.484 seconds with 39 queries.